It's now been confirmed Chorley district hospital and the Royal Preston Hospital would likely be sold-off to the private sector to pay towards a new 'super-hospital' near Lostock Hall. 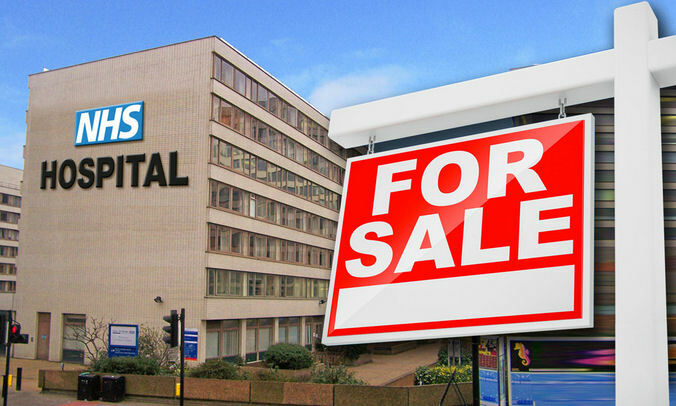 A new report out called the "Naylor Report" referred to by Theresa May in her interview with Andrew Neil last week is a recommendation to all healthcare trusts in England to sell-off their estate and other assets to release £2bn. And to do this as quickly as possible. What's this got to do with Chorley district hospital? The 'option' mentioned in August last year by Lancashire teaching hospitals trust was to sell-off (demolish) C&SR hospital along with the Royal Preston Hospital to make way for a single super hospital over Lostock Hall way. Our campaigners questioned at the time "where's the money coming from to pay for a new hospital? The Naylor report which Theresa May supports gives us the answers in black and white. It involves the sale of assets (mainly estate) and borrowing via PFI. The very first page (2nd paragraph) of the Naylor Report says they intend "releasing £2bn of assets for reinvestment and to deliver land for 26,000 new homes". They call it releasing assets for reinvestment. We call it selling off our NHS to the private sector. Historical intentional underfunding by the Department of Health yields an excuse to justify selling off NHS public property to the private sector. In her interview with Andrew Neil Theresa May said she supports the idea of hospital trusts selling off their assets [estate] or face paying an additional 3.5% charge on their capital budget (there's also the mention on the same page 22 of the dreaded PFI if your trust don't comply). Remember the Tories health & social care act 2012? As soon as the act became law in 2013 the Tories transferred all NHS estate to a private company. 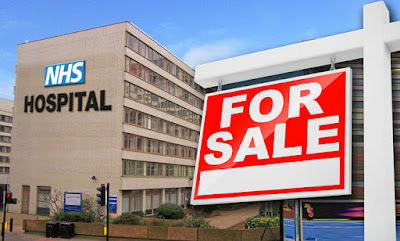 NHS Property Services (NHSPS) is a limited company owned by the Department of Health (DoH), they took over the ownership of around 3,600 National Health Service (NHS) facilities [Estate] in April 2013. NHS Property Services Ltd now manages, maintains and develops the properties on behalf of the DoH. Watch Chris Holden's Video summary showing evidence of NHS estate sell-off..
Chorley’s hospital could be demolished to make way for a new ‘super hospital’. Recommended, no blackmailed into is more the idea, any trust that doesn't will be fined3.5% of the inflated capital value each year if they don't sell all land and buildings on the cheap & the ten billion May is on about putting into the NHS is for funding this and won't be used to buy so much as an aspirin see the Naylor report.